Ready to use your fists? Part of our Boxing Event Kit, this simple Flyer template lets you present all your event information on top of an action-packed image: two boxers sparring in the ring. Express the power and control of the sport while generating excitement for upcoming matches with themed promotional materials. 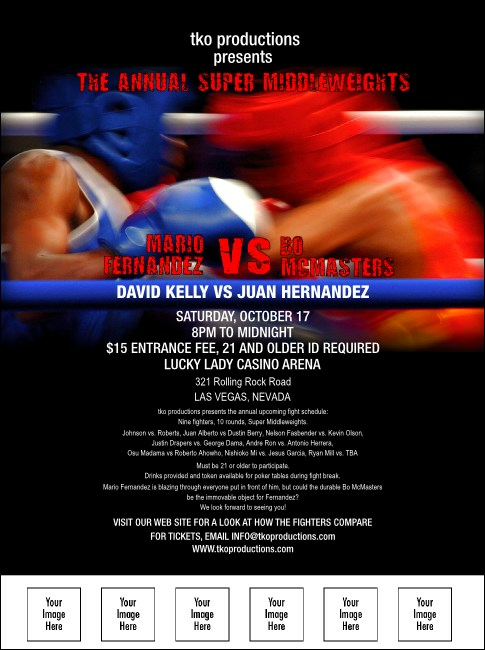 Take a swing at heavyweight event sales with the right designs from TicketPrinting.com.